When the Thunder Roars, Get Indoors! Lightning Safety Week begins on June 24th and runs through the end of the month this year. Groups of all types from your insurance provider to the National Oceanic and Atmospheric Administration (NOAA) will be spreading the word and making sure everyone knows how dangerous lightning can be and what steps to take when a thunderstorm rolls through. The National Weather Service’s motto this year is “When the thunder roars, get indoors!” which is a reminder to everyone that in a thunder storm the safest place for people is inside of a building. According to the National Weather Service, about 54 people are killed each year by lightning strikes. There are also hundreds that are injured or disabled, sometimes seriously when they are struck. For those that survive, symptoms like memory loss, chronic pain, dizziness, muscle spasms, and fatigue can persist for years after the initial injury. This is why it is so important for everyone to be safe when lightning starts to strike. 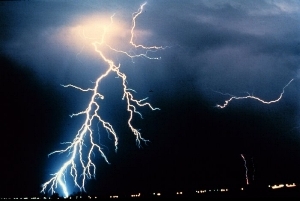 New information into how lightning behaves in a storm and how far from the center of the storm it can strike has changed many of the safety protocols and concepts previously taught. For example, children used to be taught that if you counted the number of seconds between the flash of the lightning and the roar of the thunder, you would know how many miles there were between you and the storm. Each second equated to one mile so 10 seconds meant 10 miles. Now, that formula is a little different. If you count the number of seconds between the lightning and the thunder and divide it by 5, you know how many miles the storm is from you. In the previous example, that 10 becomes a 2. When you pair that with the new understanding of lightning’s range, it is easy to understand why the recommendation is to get inside as soon as you hear that first roar of thunder. Beyond the obvious physical harm people face of with a direct strike, lightning also poses other dangers. One of the biggest is fire. Lightning strikes can ignite forest and brush fires, especially in places that are very dry. Lightning striking your home can also result in fire, which makes it even more important to have a family fire evacuation plan and fire protection supplies like fire extinguishers and smoke detectors in place. If your home catches fire as the result of a lightning strike, it is very likely that the loss is covered by your homeowners insurance. The next danger, power surges, may not be covered, which means you need to check with your insurance agent to determine if your possessions are protected. When lightning strikes, it can cause power surges to race through the power grid, affecting homes far from the actual storm. Make sure all electronic equipment, which is the most vulnerable to power surge damage, is plugged into a surge strip that protects against the type of surges caused by lightning. Although the safest place to be in a thunder storm is inside a building like your home, this won’t keep you 100% safe from lightning strikes. When a building is struck by lightning, the electric current can travel through the building in a number of ways. It can use the electrical system, the plumbing system, and even the metal bars used to reinforce the building. These currents surging through the house can hurt you if you are not careful. During a thunderstorm, stay away from all electronics including computers and appliances. Don’t take a shower or come in contact with water from your plumbing system. Don’t talk on the phone unless you are using your cell phone. These steps will help keep you safe if the house or building you are in is struck. Take some time over the next week to help educate others about lightning safety and spread awareness for lightning safety week. Just remember, if you hear the thunder roar, get indoors. When most of us think of summer, we don’t think of the increased safety risk associated with everyone’s favorite season. Along with cloudless skies and outdoor fun, summer brings a new set of safety concerns and homeowners need to take specific steps to safeguard their family, friends, and property from these additional dangers. Here are 7 tips sure to make your summer as safe as it is sunny. If you have a pool, you have a problem – you must secure the pool and take serious measures to keep everyone with access to the pool safe. According to the CDC, of the 3,400 people who drown each year, 20% of them are under the age of 14. 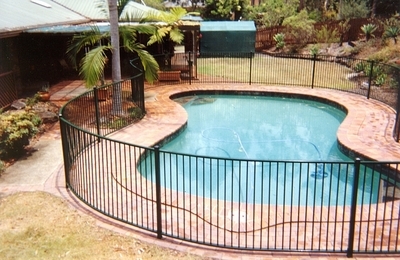 Make sure your pool is secure by erecting a solid barrier around the entire perimeter and installing alarms that will ensure no one can enter unsupervised or unattended. Adults don’t realize that it only takes a few moments of inattention for a child’s life to be lost. This is especially true when children are near a pool, lake, or other body of water. If you are doing something around water, like swimming, boating, fishing, or waterskiing, save the drinks for another day. According to information gathered by the CDC, 70% of adolescent and adult deaths resulting from water recreation involved alcohol. 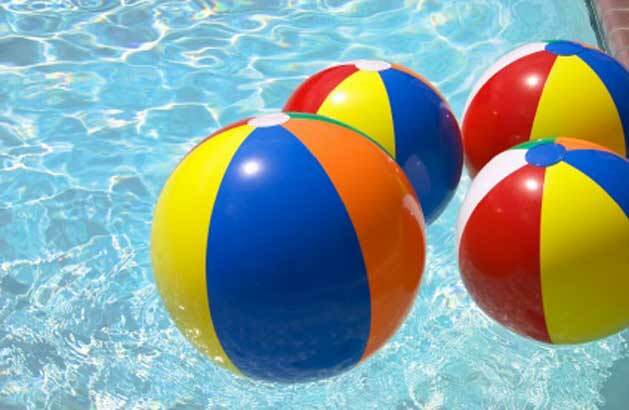 From drowning to dehydration, the dangers of this season are present in almost every summertime activity. The best way to protect your family is prevention. The second best way is to be able to respond immediately in the right way to preserve life. Becoming certified in basic first aid and CPR will give you the skills and knowledge you need if the worst happens. According to the Insurance Information Institute, more than 75,000 people must be taken to the emergency room each year because of lawn mower related injuries. Almost all of these are caused by human error. Make sure you know how to use your mower properly and that you are vigilant in your attention while the mower is on. This holds true no matter what you are doing. If you are mowing the lawn, wear clothing that protects your legs from flying objects. If you are hiking, wear layers. If you are lounging by the pool, wear sunscreen and a hat. If you are in a boat, wear a life jacket. If you are using the grill, wear protective gloves and a heavy apron. Grills present several possible dangers ranging from serious burns to starting house fires. To protect your family and property, make sure that your grill is stored and used in a safe location. Never use a gas or charcoal grill in the house and store all gas canisters outside and away from the house. Check to make sure that all grill components are working properly before using the grill each time and keep a fire extinguisher close by in case there is an emergency. Summer is supposed to be about having fun, being on vacation, and enjoying the best of what nature has to offer. Keep your summer fun and carefree by paying attention, taking the right precautions, and eliminating those risks that you can control. Many working Americans don’t have the right insurance in place to provide their family with the protection they need. If you asked most people in their 30’s and 40’s what kind of insurance they need in order to protect their family, they would likely answer auto, home, and/or life insurance. While these types of coverage do provide protection and are a necessary, they don’t cover all the bases by themselves. In fact, people in this age group actually need another type of insurance even more than they need life insurance. What coverage are they missing? Disability insurance. Most people have some kind of disability insurance through their employer but for many of us, that coverage isn’t enough to protect our family’s financial security. The root of the problem is that people are worried about things in the wrong order. People in this age group are aware of their own mortality and concerned about how their death would impact their families. 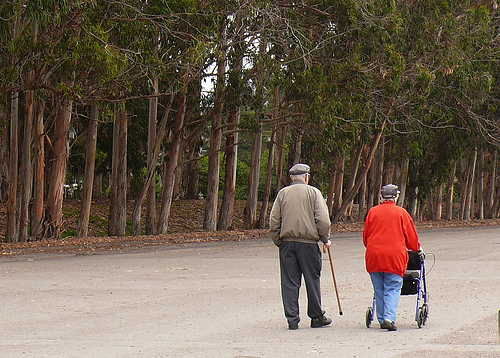 What they don’t realize however, is that they have a 30% chance of becoming disabled before retirement age and only a 17% chance of dying before retirement age according to the Social Security Administration. Many people receive short term disability coverage through their employer, but if you become disabled, this coverage may not be enough. Consider this; you are the primary breadwinner for your family and become temporarily disabled, your employer offered coverage will likely only pay you 60% of your regular salary. If your family had to get by for several months on little more than half your salary, could you do it? This is one of the most important questions you need to answer in order to determine if you need additional disability insurance. If you are self-employed, that picture may be bleaker. Would your business be able to survive without you for several months? Would it continue to pay you the money you need to take care of your family? Those who own their own business and who work for themselves must have some kind of safety net in place to protect themselves in the event of a disabling event. Even if you have money in reserves to help cover your personal income, you may not have thought about how the business will continue if you cannot function in the same role you are in right now. Understanding how this kind of event will impact you personally and your business is the key to determining how much disability coverage you need in order to have the protection you need in place. Additionally, even if your short term coverage is in place and seems adequate, you may not be protected if you become disabled for a longer term or even for life. There are two different kinds of disability coverage, short term and long term. Short term coverage generally covers qualifying disabilities for a period that is generally less than one year and may be tied to the amount of time you have been with the company. If you remain disabled after the timeframe covered by the short term policy, you will need a long term disability policy in order to continue receiving benefits. Because disability insurance policies can be complex with many restrictions and a wide range of options, you should work with an insurance professional to find the right policy to provide the coverage you need to protect your financial future. When it comes to keeping our homes safe and secure, we all know the basics. Don’t leave candles unattended, test your smoke detectors, and clean out the lint tray in the dryer. But there are many other dangers lurking in our living rooms and cavorting in our kitchens that can be even more dangerous because we don’t think of them and therefore, don’t take the steps to protect against them. June is Home Safety Month and to help you create the safest and most secure home possible, here are some of the most common hazards that may be hiding in your home. It is great to have smoke detectors, but they need to be operational. More than two-thirds of all home fire fatalities occur in homes without working smoke detectors according to the Consumer Product Safety Commission. Note: this fact doesn’t say homes without smoke detectors; it says homes without working smoke detectors. Check your smoke detectors to ensure that they contain batteries and that the batteries are working. Clutter can drive you crazy but it can also endanger your life. It might sound strange but there are several ways that living in a cluttered environment can pose a danger. First, you increase your risk of tripping and falling when the pathways through your home are not clear. Second, clutter can provide a great source of fuel for home fires. Third, clutter can make it difficult to navigate through your home in situations with poor visibility. This can impede your ability to evacuate in the event of a fire or find a flashlight if the power goes out. Take a minute to look around your house from the perspective of having to get out of the house in the event of a fire. Pay particular attention to the windows. Could you get to at least one window in every room, get it open, and get out of it if there was a fire? Blocked windows and windows that have been nailed or painted shut can pose a danger by blocking an intended evacuation route from a room. Make sure each room has an accessible window that provides an exit in the event of a fire or other emergency. When was the last time you routed around behind your entertainment center to ensure that all the cords coming out of your various pieces of electronic equipment are in good working order? Odds are the only time you think about the cords plugged into your outlets is when you plug something in or unplug it. Unfortunately, cords can become frayed over time which creates a very dangerous situation. Add checking your cords to your annual safety check. Stand facing your stove and look at what is within 3 feet of the heating sources. If your house is like most houses, you will see paper towels, pot holders, recipe cards, magazines, papers from your child’s school, and several other combustible materials. This may explain why almost half of all home fires start in the kitchen. Keep a combustible free zone around the stove and oven to decrease your risk of becoming a fire statistic. Everyone knows that cleaning out the lint tray in the dryer helps prevent house fires. However, just cleaning the lint tray isn’t enough. Dirt and lint still builds up inside the machine increasing the risk of fire. Clean this out at least once a year and have it professionally cleaned on a regular basis. When was the last time you looked at your homeowner’s policy? If you are like most homeowners, you looked at it when you bought it and then you filed it away in your filing cabinet or fireproof box for safe keeping. But like the other insurance policies you have to protect you, you need to review and reassess your homeowners policy on a regular basis. June is Home Safety Month which provides a great opportunity to review everything related to the safety and security of your home, including your homeowner’s policy. Start by reading through your policy to make sure you understand all the terms and conditions and any exclusions. Don’t hesitate to ask your insurance agent to explain anything that is unclear or answer any questions that come up during your review. One of the most important things you need to understand about your policy is the type of replacement coverage that it provides. This makes a big difference in determining the amount of coverage you need and explains how the insurance company will assign a value to your home and its contents if you experience any losses. There are two primary types of replacement coverage, actual cash value and replacement value. If your policy provides actual cash value for your losses, the insurance company will value your possessions and your home at the actual cash value minus any depreciation. If your policy provides replacement value coverage, the insurance company will value your possessions and home at the current cost to replace them. Understanding the difference between these two types of coverage is critical to understanding how much protection your homeowner’s policy is actually providing. Let’s look at how the amount the insurance company would pay differs for the same loss under each of these coverage types. There is a fire in your home that causes damage to the kitchen and the living room. 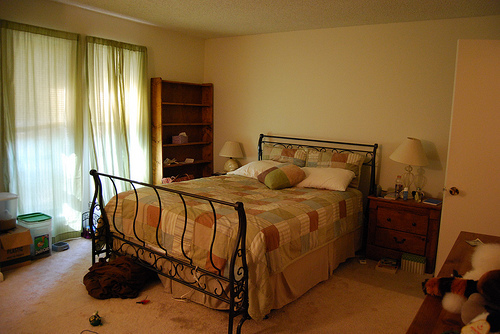 Both rooms have extensive damage and will require significant work to repair. The fire destroys your stove, refrigerator, television, couch, and an antique desk. Here is how the payout would differ. If you have actual cash value coverage, the insurance company would use the value of the home to calculate the value of the portion of the house that was damaged. Once that value was established, any depreciation would be subtracted from that value and that is the amount the insurance company would pay out for the damage to your home. If your policy provides replacement coverage, the insurance company would get an estimate from a contractor on the cost to repair the damage and the payout would cover the cost of the repairs regardless of the value of the home or any depreciation. The same process would be applied to the possessions damaged in the fire. If your policy provides actual cash value, the current value of your stove, refrigerator, television, couch and antique desk would be determined and if appropriate, any depreciation would be subtracted in order to determine the payout. If your policy provides replacement value, the cost to purchase comparable items to replace those that were destroyed would determine the amount of the payout. As you can see from these examples, if your policy provides actual cash value coverage, you may not receive enough money from the insurance company to repair your home or replace your possessions. Since most people don’t have the cash on hand to make up the difference in costs, most homeowners should consider having a policy that provides replacement value coverage. June is National Home Safety Month and the National Safety Council, in conjunction with partners across the country, is encouraging everyone to participate by doing their part to make their home a safer place to live. Here are 8 things you can do this month to reduce the risk of preventable injuries and property damage. This is something you are likely to hear several times a year, but there is a reason that it comes up so often – it is important. According to the Consumer Product Safety Commission, two thirds of home fire fatalities occur in homes without working smoke alarms. Check that each alarm has good batteries and that the alarm itself is in good working condition. Make sure you have enough smoke detectors to provide proper protection for all members of your family. Your family needs to practice escaping from a home fire for the same reason that children practice evacuating their school building in the event of a fire; practice makes it easier to do what you need to during a crisis. The best way to protect your family in a fire is to make sure they know what to do and how to get out of the house. We sometimes take for granted that everyone knows what to do and who to call when there is a crisis but this isn’t always the case. Make a list of important phone numbers including the police and fire station, close family members, the poison center, neighbors, and family doctors and dentists. Make a plan for basic emergencies that lets all family members know what to do and where to go when something happens. Your basic plan should include an outside meeting place, the location of basic emergency supplies like flashlights, and the process for shutting off utilities like water and electricity. Clean all lint out of your dryer and exhaust hose. Have your furnace cleaned and inspected. Get your septic system pumped. Make sure all major appliances like refrigerators, dryers, washers, and dishwashers are grounded. Locate and test all the GFCI outlets in your house and make sure other family members know where they are. Don’t overload outlets. 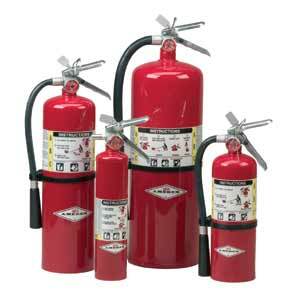 You don’t just need a fire extinguisher in the kitchen or near the woodstove. To be safe, put a fire extinguisher, carbon monoxide detector, flashlight, and first aid kit on each floor of the house. Make sure all family members know where these supplies are located and how to use them. If you have a swimming pool, make sure there is a solid fence around the pool that is locked when you are not paying attention to it. If you have a hot tub, keep it covered when it is not in use. Protect your family and your neighbors by making it difficult to use these things without you being present. The National Association of Women Business Owners (NAWBO) Phoenix announced finalists for its annual chapter awards, honoring its members for their achievements. The winners of the six awards will be announced at the annual Desert Diamonds Awards Gala on Wednesday, June 6, 2012 at the Phoenix Country Club. More than 40 Members were nominated in six categories. • Julie Kern (Bridge Financial Strategies).